I work on TV trucks for a living, so I can sympathize with this poor soul who let this one slip. It happens, it has happened to me, but not this bad. The closest was years ago when I first started in TV. 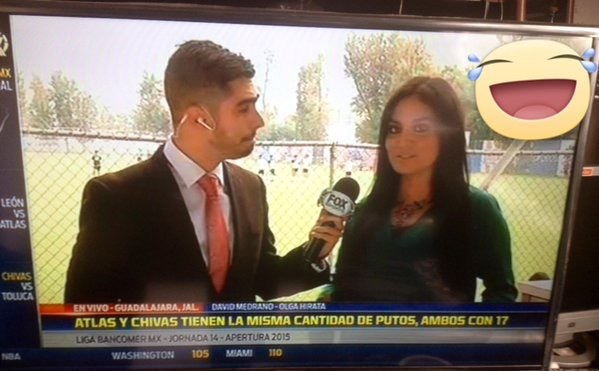 I worked on Super Show Deportivo, a weekly NFL show, and we did a year recap. Luckily I caught the error before it aired. We had a graphic that said este ano en la NFL. A Little line makes all the difference. For the record, I beleive the number of putos on both teams to be a little high. The number of putos is over 9000!